Freemantle, named after it's founder, Charles Fremantle an English officer, is a seaport located in SW Australia, near Perth. This small community began as Swan River Colony in the 1830's. By 1849, the fledgling community population had dwindled to approximately 4500 from 4600 the previous year. The colonists sent a petition to the British government requesting that some of the convicts be sent to the colony to provide a boost to the small labor force. Arriving in Fremantle in June of 1850, the first seventy five convicts were all male, who had almost completed their sentence. Over the next 150 years, the Fremantle prison's shows a wide variety of uses including housing of British convicts both male and female, local convicts, prisoners of war, military prisoners, and became was also a maximum security prison as well. This website includes a searchable convict database and a few biographies of some of the notorious convicts including: "Moondyne Joe". Enoch Pearson Barrett, members of the Fenian Movement and others. The crimes committed were various including larceny, "housebreaking", murder, and treason. 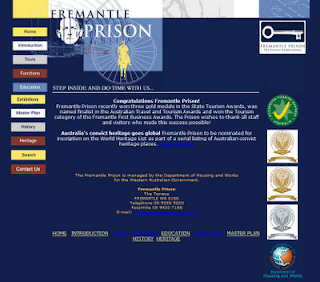 If you would like to learn more click Fremantle Prison. To research in the convict database, click here or go to the history section located at the top of the website and click on the convict database link.